iNK oN pAPER is a drum, bass, and electronics duo from Milton Villarrubia III (drums and laptop) and Carlos Santistevan (bass and electronics). After making music together as a rhythm section in numerous creative projects for 12 years, Carlos and Milton are now honing their craft in a duo setting exploring the vast possibilities of their respective instruments. Both members play hybridized versions of their instruments with Milton using Midi triggers on his drums to trigger samples and processing using Ableton Live and Carlos incorporating analog live looping and signal processing on his upright electric bass. iNK oN pAPER is currently in the studio recording and working on new material. 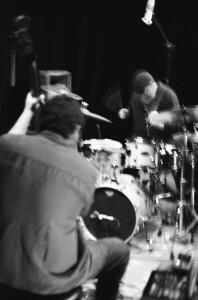 Collectively the 2 have shared the stages with many greats including: Dennis Gonzalez, Myra Melford, Dub Trio, Claudia Quintet, Lightning Bolt, HEALTH, The Ahleuchatistas, Sunburned Hand of the Man, Rob Brown, Roscoe Mitchell, Tatsuya Nakatani, Anthony Davis, Gutbucket, Kidd Jordan, J.A. Dino Deane, Nicole Mitchell, Chris Jonas, Ed Peterson, Mark Dresser, Thollem McDonas and Tsigoti, Zimbabwe Knenya, Vijay Iyer, Greg Osby, et al. The 2 have/still perform in: Out of Context, The Late Severa Wires, A. Barnhouse, Knot My Soul, WATIV, The Uninvited Guests, Taiji Pole, Grilly Biggs, Green Orbit, at a loss…and others. November 12, 2011-High Mayhem Fall Series, High Mayhem Studio with DJ Duo(JA Dino Deane/Joseph Sabella), Audible Whispering Half Quartet and Pitch & Bark. October 22, 2011-The Drum is the Voice of The Tree Festival, Armory for the Arts, Santa Fe NM. September 18th, 2011- AHA Progressive Arts Festival, The Railyard, Santa Fe NM. 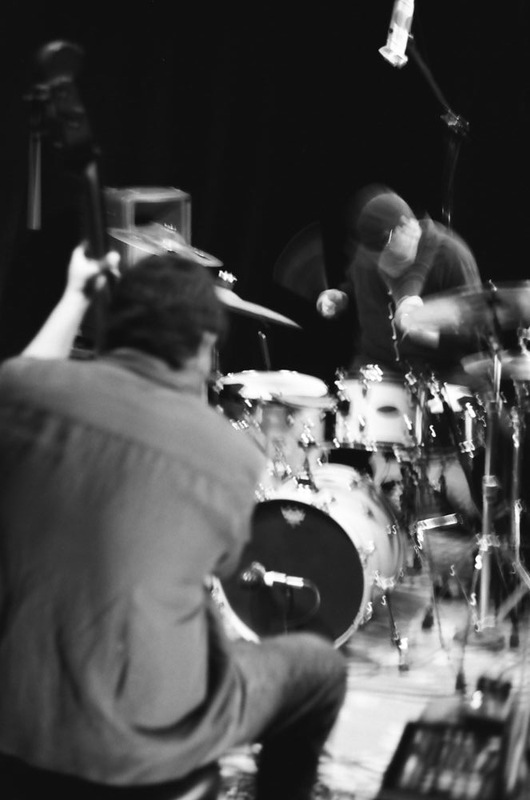 August 8th, 2011-Opening Performance for THE ROOST with The Zack Freeman Improv Trio-The Projects-Creative Music Series in Albuquerque, NM. June 12th- Tex Gallery, Denton, TX with Dennis Gonzalez’s Yells at Eels! May 15th-Coalmine Koallectiv, Albuquerque NM-with Thollem McDonas’s Tsigoti and Jeremy Barnes (A Hawk and A Hacksaw) and Brian Gillespie.